This girl is a sucker for a yummy caramel apple! However, I don't eat them very often because they can be kind of messy. So since I love cookies with yummy frosting this time of year, I decided why not try a Caramel Apple Cookie! Maybe throw in some of my beloved Honeycrisp. Add a little apple butter for the moist factor. 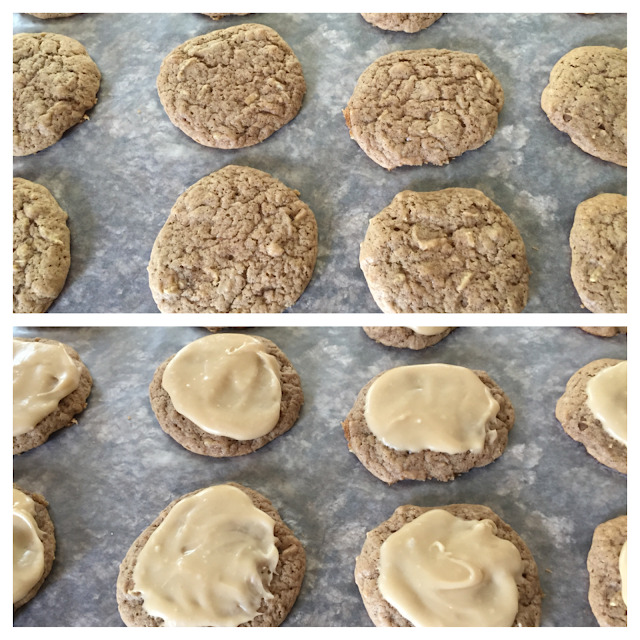 The result is a cookie that to me rivals or is almost better than the Pumpkin Drop Cookies I shared HERE. I have fond memories of unwrapping Carmel after Kraft caramel to melt and dip apples in with my mom! Fall harvest parties just meant you absolutely had to have caramel apples back in the day. 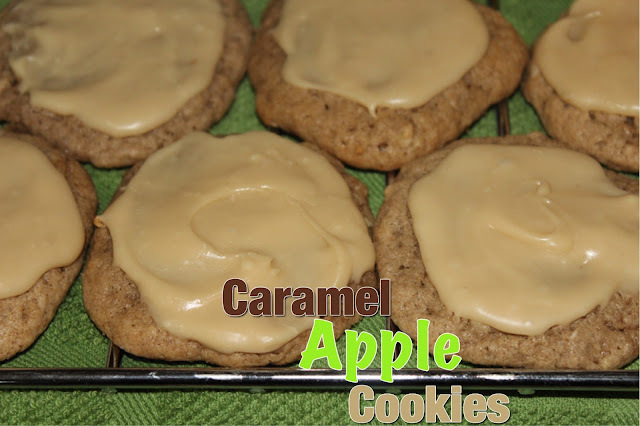 Our sons are crazy about the caramel apple suckers but now I am over the moon for these Caramel Apple cookies! Mr. Nine thought so too, I heard "these cookies are great several times." Those Pumpkin drop are usually my favorite of my fall cookie repertoire, but these might've taken the lead. If you try no cookie recipe this fall, trust me when I say try this one, especially if you like Apples and caramel! The Apple flavor is very mild and the caramel frosting signs on these moist cookies. Preheat oven to 350 degrees. In a mixing bowl whisk together flour, baking powder, baking soda, salt, cinnamon and nutmeg for 20 seconds, set aside. In a separate bowl, toss shredded apple with lemon juice, set aside. In a large mixing bowl, mix together butter and brown sugar until creamy. Mix in egg and vanilla extract. Mix in half of the flour mixture and mix on low speed, slowly add in apple juice, then mix in remaining half of the flour mixture. Fold in shredded apples that have been mixed with the lemon juice. Scoop dough out with a spoon (about 2 inch wide dough mounds) and place on parchment paper lined baking sheets spacing cookies 2-inches apart or a baking stone. Bake in preheated oven 11 - 12 minutes. Cool on baking sheet several minutes then transfer to a wire rack to cool completely. For the frosting: In a small saucepan combine brown sugar, butter, apple juice, cream and salt. Heat mixture over medium heat and cook, whisking constantly, until sugar has dissolved. Remove from heat and whisk in powdered sugar until smooth. 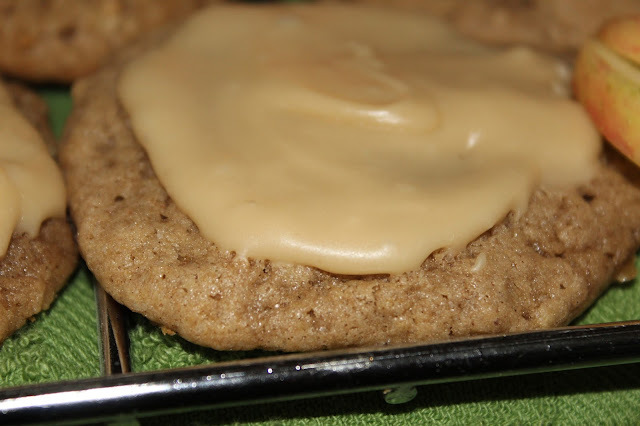 Spread over cookies in a thin layer. The frosting will set quickly so. Add the optional nuts now if desired. As frosting cools it will thicken, so add 1/2 tsp warm water at a time to thin as needed for a more spreadable consistency. Store cookies in an airtight container at room temperature. 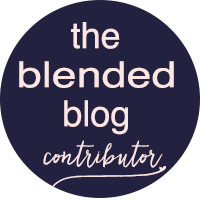 **Make sure to head over to The Blended Blog today where myself and 3 other contributors are featured in a "Behind The Blogger" Interview and Feature!! Super FUN questions this month. Don't Miss It! HAPPY TASTY TUESDAY SWEET FRIENDS!! Yum! I always loved melting caramel over apples in the fall for a treat! These look so tasty! Caramel apples are soooo good, but you are right about them being hard to eat. These cookies look absolutely perfect. I am pinning them all over and definitely want to make them soon! Yum! 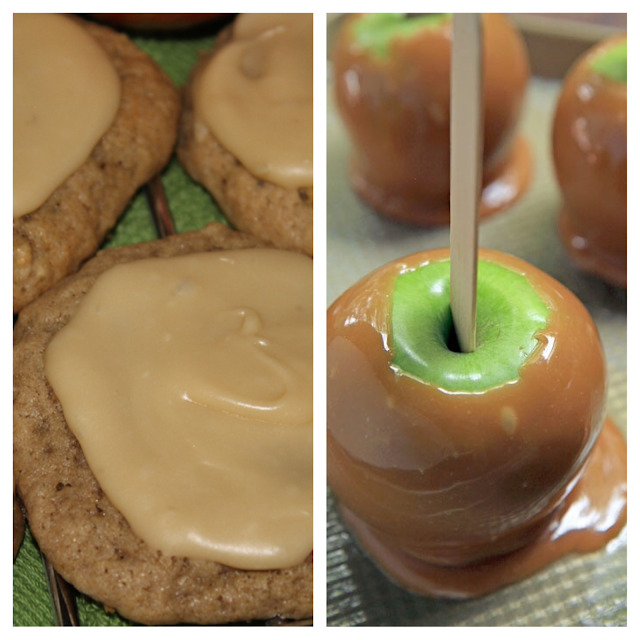 I am planning to make caramel apples this weekend, but I love the idea of making them into a cookie! I bet they are so soft and delicious. And that frosting! I would probably just eat it by itself haha! My hubby loves apple desserts..may have to try these. So yummy. 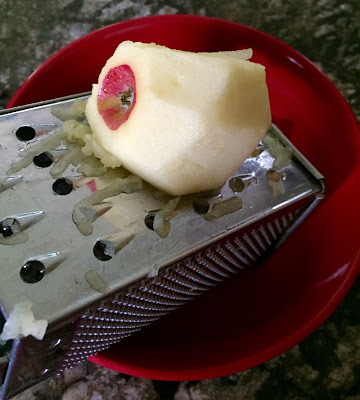 This takes all the mess out of caramel apples! LOVE! So smart, doll! MMM this looks so delicious! Pinning and making! I miss unwrapping caramels for any reason, I wish they still made them. Or maybe they do and I just don't see them anymore? Ahhhh these cookies look so yummy!!!! I love apple anything so I know I would love these! These sound absolutely perfect for fall!! We made some last year, but they were from a box mix from Target, so I'm sure these are a hundred times better than those since they're from scratch! Oh man, you're making me hungry! My oldest is such an apple and cinnamon lover - I bet he would think these were the best! I'm might just try them!!! Again..... these look super good ! Thanks for sharing the recipe :) This weekend I plan on baking these ~! These look great-- perfect for this time of year! Oh my goodness YUM!!!! These look incredible! I sometimes think apples get the shaft in the fall, but you are bringing them back! I need to make these ASAP! Bet that icing can get addictive. Apples are so good in so many things. Come share at Family Joy Blog Linkup at www.pursueyourproject.com. If you cant make it this week it starts again Sunday-Wednesday next week. Those cookies look so good!!!! Mouthwatering, yum! These sound delicious especially the frosting! I would eat that by the spoon if life was fair and it had no calories. Since the weather is showing signs of Fall here, I'm finally thinking about all the Fall and pumpkin recipes. Oh my goodness! I remember opening all those little Kraft caramels, too!! These cookies look fantastic! Thanks for sharing! I love how your favorite fall dessert inspired a new cookie recipe for you! I love that you add apple to the dough! That means it's healthy right? These look sooooooo good. 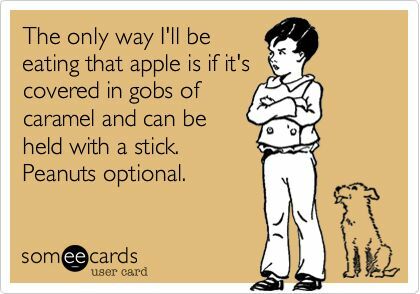 The caramel apple suckers are a favorite of mine, even if they hurt my teeth sometimes. Yummy! I made sugar cookie with butterfinger yesterday...yeah that was nice LOL! Delicious! Apple and cinnamon makes me think about Christmas! Love it! These caramel apple cookies look heavenly. Great for fall. Yum! Can I just come to your house and hang out? Looks like the perfect fall cookie! Congratulations! Your post was my feature pick from my Commenters at #ThursdayFavoriteThings this week. Visit me at http://marilynstreats.com on Wednesday evening and to see your feature and grab your badge! All hosts choose their own features so be sure to return to my blog. I invite you to leave more links to be shared and commented upon. Thank you for sharing your delicious recipe at the #RecipeSharingParty. I look forward to what you will share next week! We hope you’ll come back again next Thursday when we open our doors at 9:00 AM EST. Pinned, Yummed and Tweeted! Holy moly these sound yummy! Chuck loves apple and so do I so I think these are a must make very soon. Thanks for sharing this delicious recipe beautiful! OH mylanta! I have to add these to my daughters fall bridal shoewer! How divine! Thanks for sharing at our Apple week link party! I am so excited to put these on my party list! Ooooh, Jan, that would be perfect!! Yum! I love caramel. I am pinning this to my fall board. Found your post at the polka dot giraffe link party! I also have two sons in college (well, grad school now for one) and a daughter who is a senior in high school. These caramel apple cookies sound wonderful. I made caramel apple cinnamon rolls and my kids and grand kids loved them. I'm thinking that they are going to love these cookies just as much or more. Thank you for sharing at Tasty Tuesdays. These look so good! Adding them to my list of fun things to back this fall! Thanks for sharing! I will be trying this !! 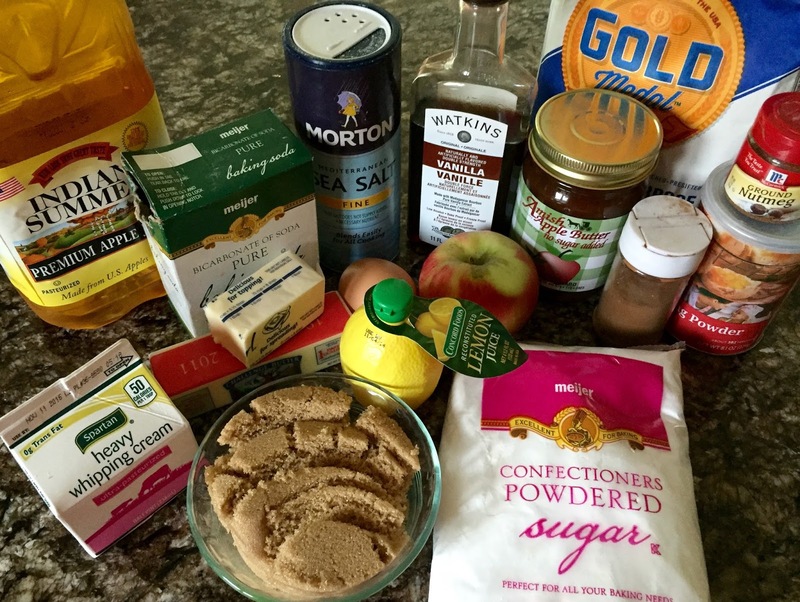 Thank you for sharing at our apple celebration of Celebrate 365 Blog Party!